For Kell, the Friends of Police Parade is a big deal, his first Earthling parade. 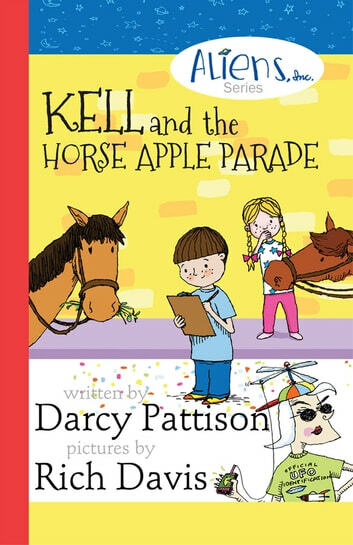 With Bree’s help, he must figure out how to deal with City Hall, figure out fund-raising and find super heroes and super heroines to march in the parade. To make things worse, Principal Lynx believes someone in third grade in an alien, and she has a new Alien Catcher App on her smart phone. Survival on planet Earth just got harder for the Smiths, those friendly aliens from Bix. Will the Society of Alien Chasers catch Kell and his family? Or will they outsmart Mrs. Lynx again. Nutrition Day Means Learning to eat Healthy Kell and friends learn about good nutrition, while sampling foods from different cultures. Only Kell thinks all the food is alien. The alien family, the Smiths, understand little of Earth’s culture, which results in funny situations. Hopscotch, horse apples and fund raising are all strange things for the Smith family. Are Super Heroes and Super Heroines Really Aliens? Well, Superman came from the planet Krypton. Find out what other super heroes and super heroines show up at the Friends of the Police Parade. When a friend gets sick, Kell must visit the hospital But he has to make sure that no one tries to listen to his heart—because he doesn’t have one. 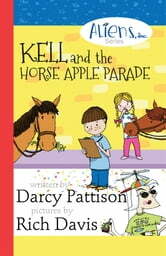 Scroll up and get your copy of Kell and the Horse Apple Parade at the everyday low price! Read more of the ALIENS INC. CHAPTER BOOK SERIES. Art Teachers: Every volume stars with a scene in the art classroom, creating something fun. Family story: When the Smith family is shipwrecked on Earth, they must learn to depend on each other.